Someone asked me a while ago why I chose to start my African trip in the much-maligned countries of the west. Why on earth would someone travel through countries more well known for civil conflict and coup d’etats than anything else? Well, for me, the reason was simple. I want to see this planet – every inch of it – and at the time of planning, it was the first time in modern history that basically every country in west Africa was accessible. As someone who had studied the various conflicts of the region throughout his university studies, I knew how significant that case was. Moreover, I knew how fragile that peace and accessibility was. I jumped at the chance to start in west Africa because very little of it was off-limits during the planning stages. Well, up until March, when a military coup sent this country into the thralls of conflict and uncertainty. Still, I was assured that Bamako and the south of Mali were safe and made the journey from Cote d’Ivoire. My time in Bamako had been a strange state of calm. I took what I have been calling a travelcation in hopes of recharging my batteries before making the long push for South Africa. Hanging out at the sleeping camel hostel in Bamako has been a brilliant experience, but also a strange one. It’s as if Bamako exists in a bubble. It’s the center of activity for journalists, expats and aid workers all who sit around talking about the conflict, how it should be resolved and how great the country was before the coup. I have no knowledge of what it was like before the coup, so nothing feels strange about the city to me; it’s business as usual. However, as I travel north of the city, the void in activity is ghastly. 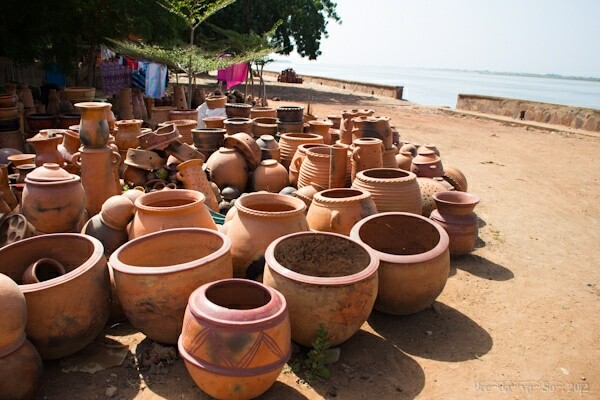 I wandered through the dirt streets along the Niger River in the town of Segou alone. I felt as if I woke up after a zombie apocalypse had passed through town. The streets deserted near the sights, the ports stocked with rusting old hotel boats, and the occasional troubled person pulling at my sleeve asking for help in the form of money or food. Occasionally, I stop in the shade with some of the vendors – who claim they haven’t sold a souvenir in weeks – for a cup of tea and some chatter. Some of them are from Timbuktu, they dream of going home, but they don’t seem to hold out too much hope. Segou is an interesting town, but its deserted state is depressing so I press farther north; to the ancient city of Djenne. Djenne immediately appeals to my curiosity. Like Bamako, there are few signs open signs of conflict, or concern with the state of the war, that exist in town. 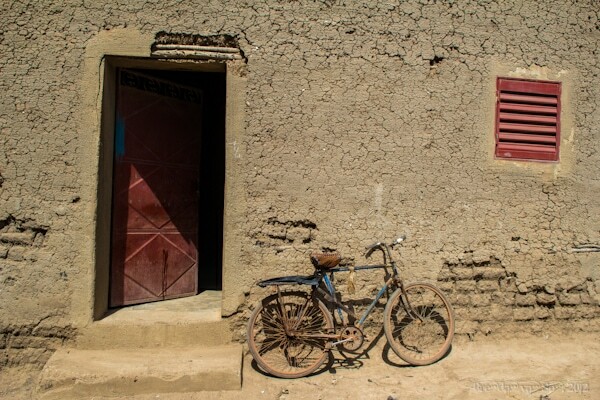 But in this ancient mud village, people aren’t worried because they feel far from the conflict (they are only about 100km from the front lines), but because they have history and magic on their side. 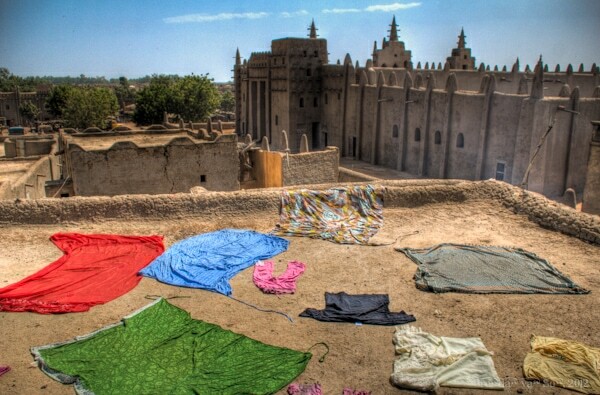 The town of Djenne is an ancient Islamic center, home to hundreds of quranic schools and the famous mud mosque. But some people here talk of an ancient power that presides powerfully; perhaps something similar to voodoo although the locals claim its not nearly as animist. Still, while war rages in the north, the people of Djenne are firm to their belief that no one will ever enter their city out of fear of the mystical hexes that could be placed upon them. 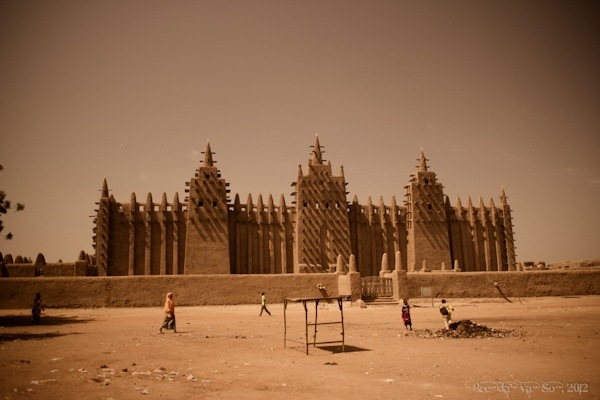 No one has ever attacked Djenne, and people here believe no one will ever do so. Still, while the locals have not moved on and even hotels, like the foreign-run Djenne Djenno, remain operational, there is no doubting that things have changed. Guides have moved on and the ones who have stayed on are much more desperate. Hotels are empty and many are offering prices well below what would have been imaginable just a year ago. As terrible as it might sound, conflict in the north has actually made Djenne a more enjoyable destination for me. There are no other tourists, people are more willing to help since they’ve learned – and lost – the value of tourists, and I was even allowed to step food inside the incredible mosque (although I wasn’t allowed to photography it). I had one of the ancient wonders of Africa all to myself. 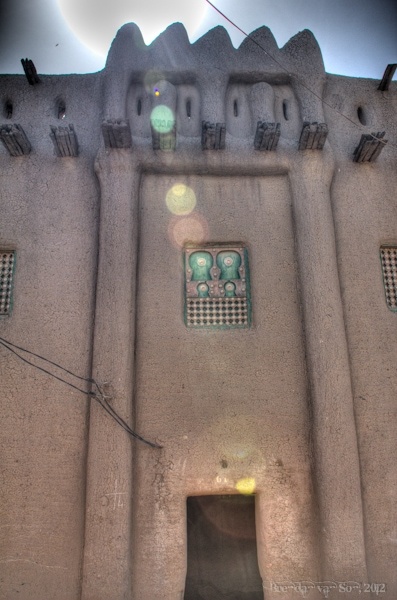 Not since my time in Chinguetti, Mauritania have I ever felt like I had flown back in time like I did while in Djenne. It really is a special feeling. Still, despite the tranquility and inspiration found in Djenne it’s hard to escape thoughts of the sad eyes of vendors in Segou or the stories of displaced people from the north of the country. Despite the fact that Bamako might still feel like a bubble, it certainly is not. Yesterday the Prime Minister of Mali was ousted from power and the President’s party headquarters were shot up overnight. Conflict is like a cancer. If you allow it to feed, grow and fester it will only strengthen its resolve, deepen its roots, and fasten itself to important organs, If you wait too long to treat the source of a conflict it will only spread to a point where there is no treatment at all. In the case of Mali, the disease is spread heavily through the north, and I can’t imagine it being all too long before it begins to fester elsewhere as well. Bamako might feel like a bubble protected from the conflict, as does Djenne. But as one knows, conflict has many victims, even those who may feel far from it. Excellent photos and overview, as always, Brendan. You’ve got me longing to visit Mali now. 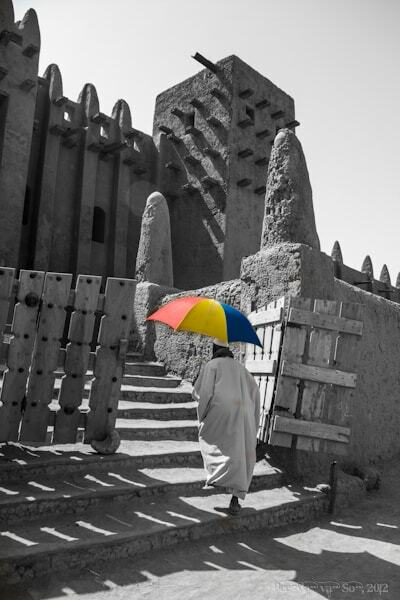 It’s wonderful to hear news of Djenne, it truly is a magical place. I’m sure people are very happy to see you. Be sure to grab some fish stew and rice pancakes for breakfast next to the mosque, you’ll meet some fantastic people. Love that last picture with the umbrella and the one with the little girls. Whenever I’ve told some of my friends where you’ve been traveling they’ve always been shocked and pretty much think you’re a badass, so…. you definitely have some fans over here in the States. Best marketing manager ever, I know. How do you do it? Always adding a little spice that others’ who’ve covered the same area miss. Kudos! Wow that is amazing that you went there even amidst all the conflict. Great photos and thank you so much for the description, this is a part of the world that I have never visited and no very little about. The building structures are beautiful. Thanks Lauren, incredible place. It has been on my bucket list forever so I was a bit let down when the conflict started, but I wasn’t going to avoid it completely. Even though there’s conflict, the regions I’ve gone are relatively safe. Fascinating post. Well, they all are, but this one especially for me. I worked with some people who had fled Mali some time ago. Escaping poverty they said. Now I wonder if it was something else which drove them, because they don’t, actually, have that much here either. They did impart a strong desire to visit, and I especially wanted to go to one of the music festivals, which, I suppose are part of history now, for the foreseeable future at least. The BBC had an article the other day about Ali Farka Touré’s music being banned http://www.bbc.co.uk/news/world-africa-20624236 which seems unthinkable. Stay safe. Linda – My guess is that things here are better off than in much of the region actually. I would fashion the guess is they were using your region as an attempt to spring board to Europe…? As for Farka Toure, yeah that happens all the time. In Cote d’Ivoire the same thing happened with Tiken Jah during the conflict I’m told. First time I’m checking out your blog…great writing on an area I definitely want to visit. 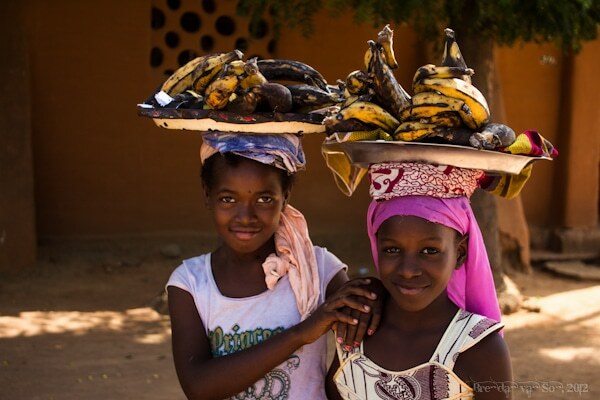 I just hope that the political situation there will not worsen and take an even harder toll on Mali’s residents. Thanks for stopping in Nailah. Truth is, I think this conflict has gotten to a point where it has to get worse before it can get better… but hopefully it’s over soon! Interesting write-up from a place most people would avoid these days! It’s so sad that Timbuktu falls to the rebel’s hand. I hope there won’t be any tragedy like what happened to the Bamiyan Buddha in Afghanistan. But above everything, I really hope the conflict can be resolved soon, for the sake of the people. Yeah, at the end of the day Bama, no good ever really comes of war does it?